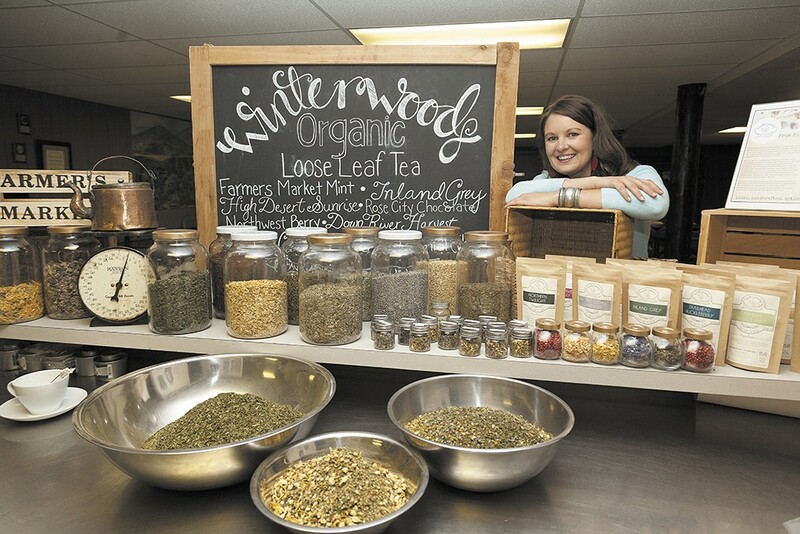 Tirza Wibel, owner of Winterwoods Tea Co. In America, tea connoisseurs live in a coffee drinker's world. No one ever asks to meet for tea. In the morning, people say "I haven't had my coffee yet." But perhaps the winds of change are upon us, as tea consumption is on the rise, especially among millennials, according to the Tea Association of the U.S.A. Here's how you can easily get your tea fix in the Spokane area. You should experience a high tea at least once — with the silver trays full of scones and de-crusted sandwiches. At the Silver Spoon Tea House, you can get all of that without having to put on a large-brimmed hat and white gloves and affect a British accent. Show up as you are to experience an assortment of teas from around the world in the way they were properly meant to be tasted — slowly, with a table full of friends. WHERE: 1427 W. Sixth Ave. IF YOU GO: For those looking to do the full afternoon tea, reservations are required. Prices start at $22 per person. Walk-ins are fine for the petite tea service. For reservations call 981-4491. There's nothing like walking into a peaceful and bright place where people understand your love of tea. At the recently opened Gaiwan Tea House, customers are treated to a knowledgeable staff along with a room (the space is actually a house) full of tea and accessories for purchase. Teas of all flavors from around the globe are offered here, including boba tea, sweetened and often fruity drinks that come with tapioca gummy balls. Customers can sit inside and relax with a good book, or take a beverage and baked good to go. Note that you can get coffee here, if necessary. Tea leaves are mostly produced in India and China, but the herbs, spices and fruits used to infuse the Winterwoods Tea Company's loose-leaf teas are all from the Inland Northwest. For the past year, owner Tirza Wibel has strived to use only the finest, mostly organic ingredients to craft a truly fresh, local experience from farm to teacup. Compared to all the other kinds of parties you've been invited to, like CAbi or Stella & Dot, an invite to a tea party is something out of the ordinary. That was the idea behind Sherri Davey's locally based company Heavenly Special Teas, bringing that direct-sale, in-home format to fine loose-leaf teas. In business for six years, featuring nearly 110 consultants, each in-home event is an opportunity to educate people about tea and the differences between store-bought bag teas and high-quality, loose-leaf varieties. The company also sells scone mixes (Davey's own recipe), tea accessories and locally made lotions. The name Spice & Vine Mercantile (formerly Spice Traders Mercantile) doesn't exactly give you the full picture of a store that sells all sorts of loose-leaf teas, along with equipment needed to produce the best-tasting tea possible. The Spokane Valley business is a tearoom and health food store that offers cooking/wine lessons from time to time, often using tea. With dozens of loose-leaf varieties lining the shelves, the shop also provides an in-store station where anyone can mix their own tea and make their own flavors and healthful elixirs — tea naturally contains more than 20 amino acids, vitamins B2 and C and antioxidants, after all.